East Boynton Dental | Patient Referral Contest! We thank you all so much for your commitment to our office with your referrals, so we’ve decided to give a little something back this time! 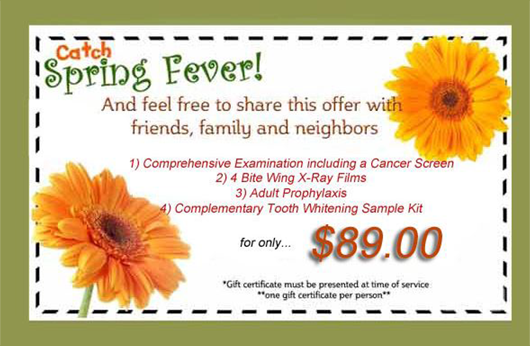 We are holding a PATIENT REFERRAL CONTEST for the month of June!! The rules are simple and the prizes are amazing!! Refer as many of your friends, co-workers, neighbors, or family members as you can! You’ll be entered into a drawing to win a $100, $75, or $50 VISA GIFT CARD for every **KEPT** appointment!! And for a little extra incentive for those new referees, they will be able to use the attached coupon for even more savings, as a thank you for scheduling an appointment! The contest will end July 31st so refer as many as you can for your chance to win!